Yannis Hamilakis is Joukowsky Family Professor of Archaeology and Professor of Modern Greek Studies at the Joukowsky Institute for Archaeology and the Ancient World, Brown University, and Co-Director of the Koutroulou Magoula Archaeology and Archaeological Ethnography Project. His research interests include the socio-politics of the past in the present, archaeological ethnography, the archaeology of bodily senses, zooarchaeology, and Aegean prehistory. Recent publications include Archaeology and European Modernity: Producing and Consuming the ‘Minoans’ (Padua: Also Ausilio/Bottega D’Erasmo, 2006) (co-edited with N. Momigliano), The Nation and its Ruins: Antiquity, Archaeology and National Imagination in Greece(Oxford: Oxford University Press, 2007-winner of the 2009 Edmund Keeley Book Prize) and Archaeological Ethnographies, Public Archaeology, special double issue, Volume 8, 2-3 (London: Maney, 2009), co-edited with Aris Anagnostopoulos. It can be suggested that today we live in a new nomadic age, an age of global movement and migration. For the majority of people on earth, however, especially from the global south, crossing national borders and moving from the global south to the global north is risky, perilous, often lethal. Many are forced or compelled to migrate due to war, persecution, or the structural violence of poverty and deprivation. The phenomenon of forced and undocumented migration is one of the defining features of our era. And while the topic is at the centre of attention and study in many scholarly fields, the materiality of the phenomenon and its sensorial and mnemonic dimensions are barely understood and analysed. In this regard, contemporary archaeology can make an immense contribution. 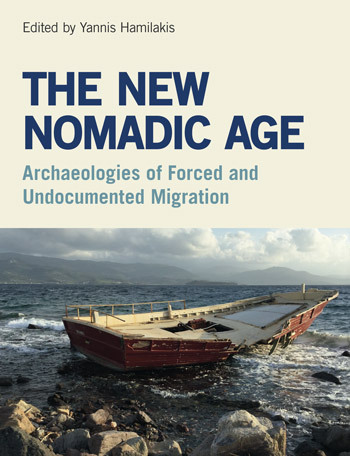 This book, the first archaeological anthology on the topic, takes up the challenge and explores the diverse intellectual, methodological, ethical, and political frameworks for an archaeology of forced and undocumented migration in the present. Matters of historical depth, theory, method, ethics and politics as well as heritage value and public representation are investigated and analysed, adopting a variety of perspectives. The book contains both short reflections and more substantive treatments and case studies from around the world, from the Mexico-USA border to Australia, and utilizes a diversity of narrative formats, including several photographic essays. Zahida Rehman Jat is Lecturer of Anthropology at the University of Sindh. Fatima Al-Nammari is an Assistant Professor in the Department of Architecture at the University of Petra and an Honorary Research Associate at UCL. Ian Ostericher is a PhD candidate in Archaeology at the University of Cambridge. Jason De León is an Associate Professor of Anthropology at the University of Michigan and Director of the Undocumented Migration Project. William Caraher is an Associate Professor in history at the University of North Dakota. Bret Weber is an Associate Professor in history at the University of North Dakota. Richard Rothaus holds a PhD from the Ohio State University and currently runs Trefoil Cultural and Environmental, a privately owned cultural resource management firm. Eckehard Pistrick is a Postdoctoral Researcher and Lecturer in Ethnomusicology at Martin-Luther Universität Halle-Wittenberg. Florian Bachmeier is a socially engaged photographer with n-Ost Network for Reporting on Eastern Europe who has extensively reported on the conflict in eastern Ukraine and the “refugee crisis” in Greece. Kostis Kourelis is an Associate Professor of Art History at Franklin & Marshall College. George Tyrikos-Ergas holds a PhD in Folkore (University of Ioannina). He is currently Research Associate at Durham University’s Anthropology Department in “Transitory Lives”, an ESRC-funded comparative study of the migration crisis in the Mediterranean. He is a co-founder and frontline activist of the “Agkalia” team in Lesvos, Greece (Raul Wallenberg Prize of the Council of Europe for 2016). Ángela María Arbeláez Arbeláez has a Phd in Art History from Lomonosov University of Moscow. She is the founder of the Angels Relief Team (ART), a curator and an interfaith activist who has been volunteering in Kara Tepe and other Greek camps for displaced persons since September 2015. Edward Mulholland is an Associate Professor in World Languages and Cultures at Benedictine College, Atchison, Kansas. He volunteered at Kara Tepe, Lesvos in July 2016. Vesa-Pekka Herva is Professor of Archaeology at the University of Oulu, Finland. His research interests are varied and range from the dynamics of Neolithization to the historical archaeology of northern Europe and the uses of the past in the present. Rui Gomes Coelho is a Postdoctoral Associate in the Cultural Heritage and Preservation Studies program at the Department of Art History, Rutgers University. He is an archaeologist interested in historical archaeology, archaeology of the contemporary, critical heritage and photography. His current interests are driven by a fascination with the sensorial constitution of alternative modernities, and for marginal communities who mobilize material culture against traditional, nationalist-oriented approaches to heritage. He has been collaborating with archaeological projects based in the U.S., Portugal, Brazil, Germany, and Spain. Recent publications include “An Empire of Clay: Ceramics and Discipline in the Early Modern Portuguese Empire” in the volume Practicing Materiality, edited by Dr. Ruth Van Dyke with the University of Arizona Press, 2015 and the essay “The Garden of Refugees”, published by the Journal of Contemporary Archaeology, 2016. As a photographer, Dr. Coelho participated in several individual and collective shows in the U.S., U.K. and Portugal. John Schofield is Head of the Archaeology Department, University of York, having previously spent 21 year with English Heritage. 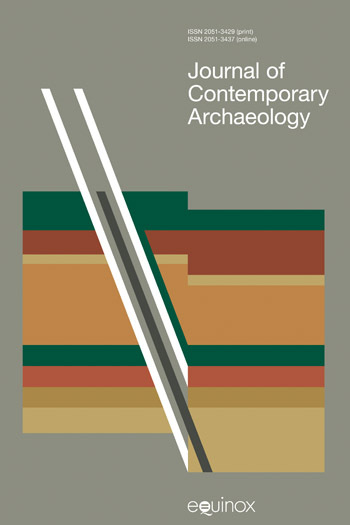 John has published extensively on archaeoloogies of recent conflict, cultural heritage and the archaeology of the contemporary past. He co-authored After Modernity with Rodney Harrison (OUP, 2010) and co-edited A Fearsome Heritage: Diverse Legacies of the Cold War with Wayne Cocroft (Left Coast Press, 2007). He is currently conducting research in Berlin and Malta. Christina Thomopoulos is currently working as an Associate Researcher at the Integrated Systems Laboratory of the National Center of Scientific Research “Demokritos”. Rodney Harrison is Professor of Heritage Studies at the Institute of Archaeology, University College London and the founding editor of the Journal of Contemporary Archaeology. 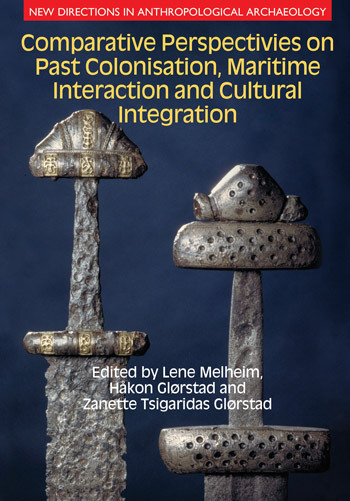 He is the (co-)author or (co-)editor of more than a dozen books and edited volumes and over 60 refereed journal articles and book chapters on a range of topics, with particular foci on the material pasts, presents and futures of archaeology, anthropology, heritage and museums. His books include After Modernity: Archaeological Approaches to the Contemporary Past (with co-authors, OUP, 2010), Heritage: Critical Approaches (Routledge, 2013), Collecting, Ordering, Governing: Anthropology, Museums and Liberal Government (with co-authors, Duke, 2017) and The Oxford Handbook of the Archaeology of the Contemporary World (with co-editors, OUP, 2013). He has previously held research and teaching positions at The Open University, The Australian National University, The University of Western Australia and in the Research Unit, Cultural Heritage Division, NSW National Parks and Wildlife Service in Sydney. He is currently Principal Investigator of the collaborative, interdisciplinary Heritage Futures research programme. From 2017 he will be AHRC Priority Area Leadership Fellow for Heritage. Staffan Appelgren is a Senior Lecturer in Social Anthropology at the University of Gothenburg. Anna Bohlin is a Senior Lecturer in Social Anthropology at the University of Gothenburg. Elisabeth Kirtsoglou is Associate Professor in the Department of Anthropology at Durham University. Parker VanValkenburgh is Assistant Professor of Anthropology at Brown University.